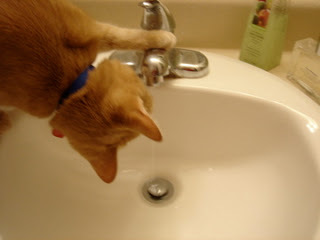 For some reason lately Henry has really been diggin’ the bathroom sink water. 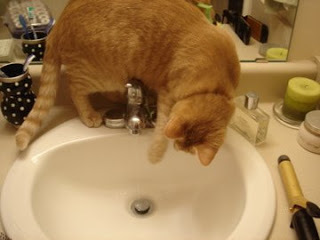 Every morning when I am getting ready for work, he jumps up there to get a little drink. 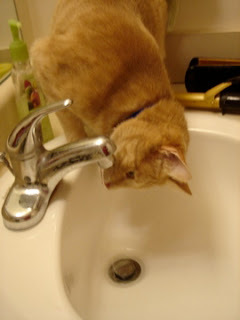 The water is on here…you just can’t see it…but Henry does. 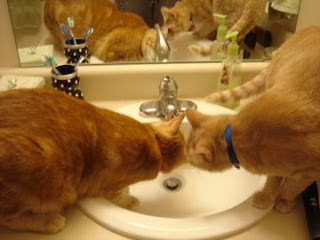 Move over, Pancake wants some too. 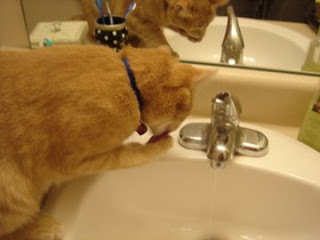 That bathroom sink water sure is yummy. 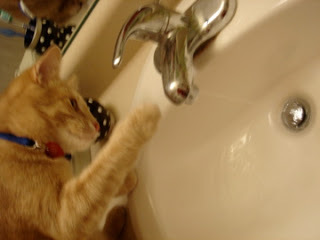 Then laps up his paw…he’s got skills. 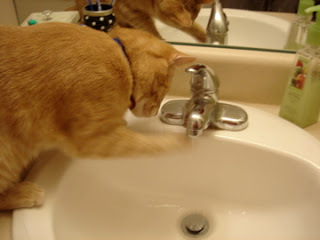 ***Note: I do clean this sink every day…so don’t worry if you come over for a visit…it will be clean and kitty free, I promise!